Important Note: Lunch will not be provided by the conference; however, an all-you-can-eat lunch featuring many vegan dishes will be served in Cornell's Carl Becker House. We encourage attendees to join the speakers and other attendees over lunch. The price will be approximately $15 per person. While the dining staff has generously agreed to increase the quantity and diversity of vegan items and dishes available in the dining hall for lunch, the dining hall will not be entirely vegan during this meal-time since it will still be operating normally by serving Cornell students unaffiliated with the conference. Note: The complimentary food provided during this break will be snacks. If you need to eat a larger meal before you continue with the conference programming, we strongly encourage you to make arrangements and plan ahead by researching the food options that are around campus or by bringing food items that meet your dietary type and volume requirements. Description: Dr. Wu will share the research he has conducted on the relationship between diet and the gut microbiome with specific focus on the gut bacterial differences and variations between populations who have been on or have recently moved to/from a plant-based diet. The relationship between gut bacterial composition and health status is well-established, but Dr. Wu will share his ideas for how medical interventions could be developed using his research and will also share the new study he and his team are beginning in 2015. The Penn Vegan Society is helping to provide feedback on food lifestyles for most practicing vegans and to provide better access to vegan community members interested in participating in this important research. Background: Dr. Wu is the Ferdinand G. Weisbrod Professor in Gastroenterology and Director of the Molecular Biology Core at the Perelman School of Medicine at the University of Pennsylvania and the University of Pennsylvania Health System. His most current research is focused on the association between long-term dietary patterns and the bacteria of the human gut. The research study is ongoing and has received funding from the NIH's Human Microbiome Project, along with other federal sources of support. Description: Ever dreamed of starting your own vegan business? Miyoko Schinner shares an insider's perspective on launching vegan companies, including her artisan vegan cheese company Miyoko's Kitchen, and explores where they are headed and how they impact the world. 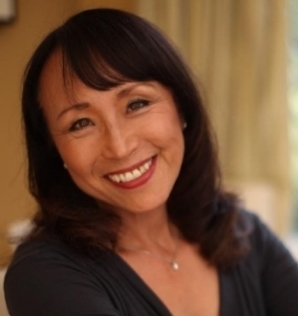 Background: Miyoko Schinner, vegan chef, cookbook author, television cooking show host, and entrepreneur has been promoting delicious, decadent, and healthful plant-based foods for the past thirty years. She is founder of Miyoko’s Kitchen, a leading maker of artisan vegan cheese. Her bestselling cookbook, Artisan Vegan Cheese, has been touted as “the holy grail of vegan cuisine” and has helped many people transition to veganism. As co-host of Vegan Mashup, a show seen on PBS, she shares her recipes for delicious vegan cuisine with viewers. Miyoko has also been an instructor in the McDougall Program for many years, and presents regularly at major festivals and events around the country. She has been featured in numerous publications, and on television, and radio, including VegNews, Chicago Tribune, Huffington Post, LA Weekly, NPR, ABC World News Tonight, San Francisco Chronicle, Philadelphia Inquirer, and other publications. Description: Shifting demand from traditional diets to new practices that will feed a healthy world. Background: Chef James Corwell has begun the next chapter of his culinary career as the founder of Tomato Sushi LLC., bringing his international culinary experience to the table from Europe and Japan. With over 30 years of diversified experience and training, Corwell is no stranger to food innovation within the restaurant industry, nor to culinary instruction, corporate brand development, and the assimilation of emerging culinary trends. Corwell is one of 67 certified master chefs. Corwell was recognized as the best new chef of 2010 by New Orleans Magazine, where he spent two years as the operator/ owner of Le Foret in New Orleans, LA. Corwell also spent four years at The Culinary Institute of America at Greystone, one of Napa Valley's premier destination points, as lead instructor and executive chef at Wine Spectator Greystone Restaurant. There, he garnered accolades from the 2006 Aspen Food and Wine Festival. In 2004, Corwell became an ACF Certified Master Chef the highest certification of merit. Prior to this, he spent three years as owner and executive chef at Café Sonoma, Manfreddie's Pizza and the Food Company in Wilmington, N.C. Before this position, he was the director of content for Tavolo.com, an internet-based company. Corwell began his career in 1988 at the Cherokee Town and Country Club in Atlanta, where he spent nine years as executive sous chef at the premier private club. Corwell has scored numerous achievements in the culinary sector: a National Finalist in the Bocuse D'Or, Cincinnati Salon Best of Show in 1996, and Chaine Des Rotisseurs National Winner in 1992. Description: This presentation will explore the emerging field of Eco-ability, an area of academic study that combines the interdisciplinary fields of Disability Studies, Environmental Justice Studies, and Critical Animal Studies to challenge the social foundations of oppression. The talk will focus on the multifaceted and intersecting philosophies of these disciplines to envision a world in which humans and nonhumans flourish without undermining ecological foundations. I will focus on how the shared principles, practices, and experiences of these constituent groups can bring forth new possibilities for mobilization, inclusion, and justice. Background: Dr. Amber E. George is the Program Coordinator for the Intergroup Dialogue Project at Cornell University. Prior to this role, she taught philosophy, in particular ethics and social philosophy, at numerous colleges and universities. She serves as an Executive Board Member of the Institute for Critical Animal Studies (ICAS), an academic research organization dedicated to advancing intersectional social and ecological justice initiatives. Dr. George has presented her work at several Eco-Ability and Critical Animal Studies conferences. She contributed a book chapter to the foundational text, Earth, Animal, and Disability Liberation: The Rise of the Eco-Ability Movement and is currently working on editing another. She has also served as an editor on numerous projects for Journal of Critical Animal Studies and Social Advocacy and Systems Change Journal, and is on the review board of Green Theory and Praxis Journal and Transformative Justice Book Series. Her latest book, Screening the Nonhuman: Animal Representations in Media is forthcoming in 2016. Her life and work focuses on challenging oppression as it materializes in everyday life with the hopes of achieving justice for all. Why Are People So 'Annoyed' By Vegans? Description: This session will be an exploration into the peer-reviewed literature on the social motivation to distance and deride morally motivated minorities and what factors lead to the unequal application of discrimination against the different morally motivated minority groups. Background: Vlad Chituc currently works as a lab manager and research assistant at the Center for Advanced Hindsight, a social neuroscience lab at Duke University. His primary research and writing interests revolve around psychology, philosophy, and decision-making. He also writes for and manages the atheist-interfaith blog, NonProphet Status, from which articles are often sourced for Huffington Post Religion. Can It Be Pro-Animal to be Pro-Choice? Description: In some regards, the pro-animal, vegan position would seem most consistent with the pro-life, anti-abortion position. Both the vegan activist and the pro-life activist seek to protect vulnerable life from destruction. Yet, as Professor Colb observes in this presentation, a focus on female animals inseminated and slaughtered for food reveals important parallels between protecting a woman's bodily integrity and other interests implicated by the right to abortion and protecting the interests of animals against the multiple forms of violence they endure in the production of animal-derived foods. 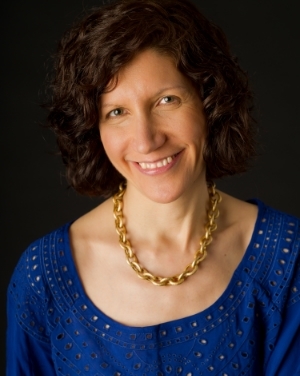 Background: Sherry Colb is a Professor of Law and the Charles Evans Hughes Scholar at Cornell Law School. She has clerked for Judge Wilfred Feinberg of the U.S. Court of Appeals for the Second Circuit and Justice Harry A. Blackmun of the U.S. Supreme Court. Prior to joining the Cornell Law faculty, she has served on the faculties of Rutgers Law School in Camden and Rutgers Law School in Newark. She has written numerous law review articles and two books, the latest of which, published by Lantern Books, is Mind If I Order the Cheeseburger? And Other Questions People Ask Vegans (2013). Does Death Harm Humans or Other Animals? Description: Opponents of animal rights--as well as some notable supporters of animal welfare measures--often argue that there is nothing wrong with killing animals, so long as the animals are treated humanely before and during the killing process. They invoke an argument traceable to the Greek philosopher Epicurus. In this presentation, Professor Dorf asks what's wrong with killing animals, including humans. Background: Michael Dorf is the Robert S. Stevens Professor of Law at Cornell Law School. He has written over seventy law review articles and essays on constitutional law and related subjects. Dorf is the co-author (with Laurence Tribe) of On Reading the Constitution (Harvard University Press, 1991), the co-author (with Trevor Morrison) of The Oxford Introductions to U.S. Law: Constitutional Law (Oxford University Press, 2010), the editor of Constitutional Law Stories (Foundation Press 2004, second edition 2009), and the author of No Litmus Test: Law Versus Politics in the 21st Century (Rowman & Littlefield, 2006). He served as a law clerk for Judge Stephen Reinhardt of the United States Court of Appeals for the Ninth Circuit and then for Justice Anthony M. Kennedy of the Supreme Court of the United States, and has represented clients on a paid and pro bono basis, including as the co-author of several amicus curiae briefs on behalf of the Association of American Law Schools in the Supreme Court. Before joining the Cornell faculty, Dorf taught at Rutgers-Camden Law School for three years and at Columbia Law School for thirteen years. Description: Consuming whole plant-based foods must be the future of human and societal health. Nutrition (for humans) is the biological expression of food which promotes, sustains, and restores human health. However, for most of its history, the science of nutrition has been defined through the activities of individual nutrients, individual "mechanisms of action" and individual outcomes, as if each of these entities and events are relatively independent. It is imperative that the science of nutrition be re-defined and re-structured so that its ‘whole’ effect becomes primary while its ‘parts’ are significant only if they are considered within the context of this whole. Accepting this precept enables us to better understand why relatively new evidence now shows that the same dietary prescription can reverse (even "cure") advanced heart disease, resolve type 2 diabetes, substantially reduce medications for type 1 diabetes, reverse certain cancers, and resolve many other ailments. Background: Dr. Campbell is the Jacob Gould Schurman Professor Emeritus of Nutritional Biochemistry at Cornell University. He has authored over 300 peer-reviewed articles and served numerous scientific, policymaking, and regulating bodies, including the National Academy of Sciences and American Institute for Cancer Research. He was the principal investigator of the Cornell-Oxford-China Project, the world's most comprehensive human nutrition study, which the New York Times labeled the "grand prix of epidemiology."